For many businesses, switching to a responsive website can be perceived as a significant investment that takes time, money and resources. But in a world of mobile and wearable web devices, companies which ignore responsive web design do so at their own risk. 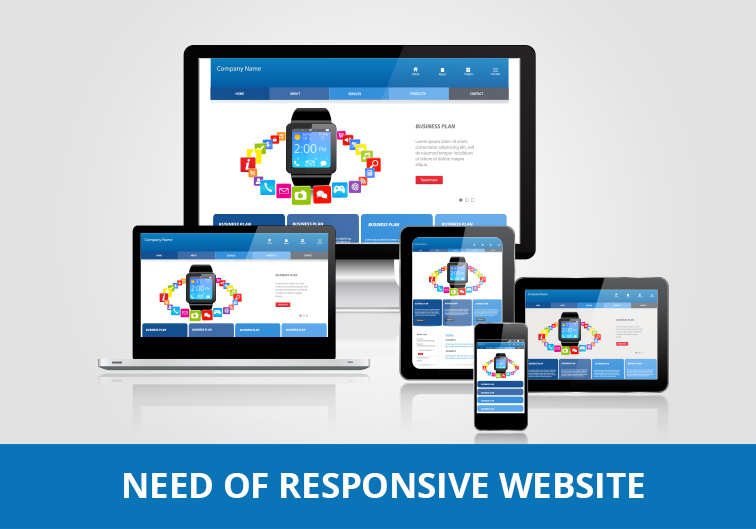 Here are ten reasons why you need to switch to a responsive website immediately. Mobile is turning into one of the most important platforms for customer engagement. Over 2.1 billion people own a smartphone and use it to browse the web on the go, and recent research by Google ranks the UAE as the highest in the world in terms of smartphone penetration at 78%. If you’re a business in the UAE, you need to be thinking responsive because everyone is on mobile. Businesses that utilise responsive design today are going to reap the rewards in the future because global smartphone users are going to increase to 2.5 billion in the coming two years. 2017 saw an increase of 228% in mobile phone penetration in the Emirates – a ratio of 228 phones per 100 people. The future is moving towards cross-device browsing through stationary, mobile and wearable devices. Responsive design will help your website adapt to different screens and still look amazing. Are you looking for a cost-effective way to increase your traffic? Over half of all internet traffic comes from mobile, accounting for 51% of digital browsing. According to PayPal’s Digital Goods Survey, smartphones dominate digital consumption in the UAE including gaming, music, films, books and cross-border purchases. Optimising your website with responsive design for mobile is a cost-effective way to tap into an abundant source of traffic. Studies by Adobe show that while desktop and laptop users shell out more for purchase, mobile users spend more on purchases across devices. That’s because mobile users are conditioned to make frequent purchases on the go. This behaviour provides more lucrative opportunities for businesses, but only if they have a responsive UX. In April 2015, Google launched an algorithmic update that set new benchmarks for responsiveness. Dubbed “Mobilegeddon”, the update heavily penalised websites that failed to meet its standards for mobile-friendliness – non-mobile friendly pages endured traffic drops as steep as 46%. If you want to maintain your existing traffic, responsive is the way to go. Responsive design increases SEO value. How does it do this? A responsive website uses a single URL across devices – in other words, one site adapted across multiple devices. This 1) eliminates SEO errors 2) removes the need to build links from scratch and c) makes it simpler for Google to crawl your site and rank it accordingly. If you are serious about your SEO, you need to invest in responsive design. There is one arena where small local businesses can compete with and even beat their multi-national counterparts: local search. The UAE’s top position in smartphone usage has vast opportunities for local companies and SMEs, which make up 94% of the country’s businesses. For local brands, responsive websites make it possible to attract more customers using mobile ads, local SERP results or location-based services. At 99%, the UAE has the highest social media penetration rate in the world, and 88% of the people are accessing it through mobile devices. If your business uses social media, the chances are that a decent share of your visitors come from mobile. Your mobile visitors expect a smooth, seamless browsing experience across all their devices. An unresponsive design is a sure way to waste all those marketing efforts. According to figures by Akamai, just 18.7% of the 10,000 top-tier websites are responsive. Further reports by BaseKit show that 91% of small business websites aren’t optimised for mobile use. Implementing responsive design is a simple and powerful way to differentiate your brand and gain an edge over your competition. According to a recent study by Kleiner Perkins, only 8% of ad-spending goes toward mobile ads – leaving a massive opportunity gap. Mobile advertising is still an under-utilised opportunity, but this won’t last long. Mobile display revenue is expected to surpass desktop by 2018. Now is the time to utilise mobile ad spending and this is possible with a responsive website. Upgrade your online presence with powerful and responsive web design. Contact the digital experts at Global Media Insight.